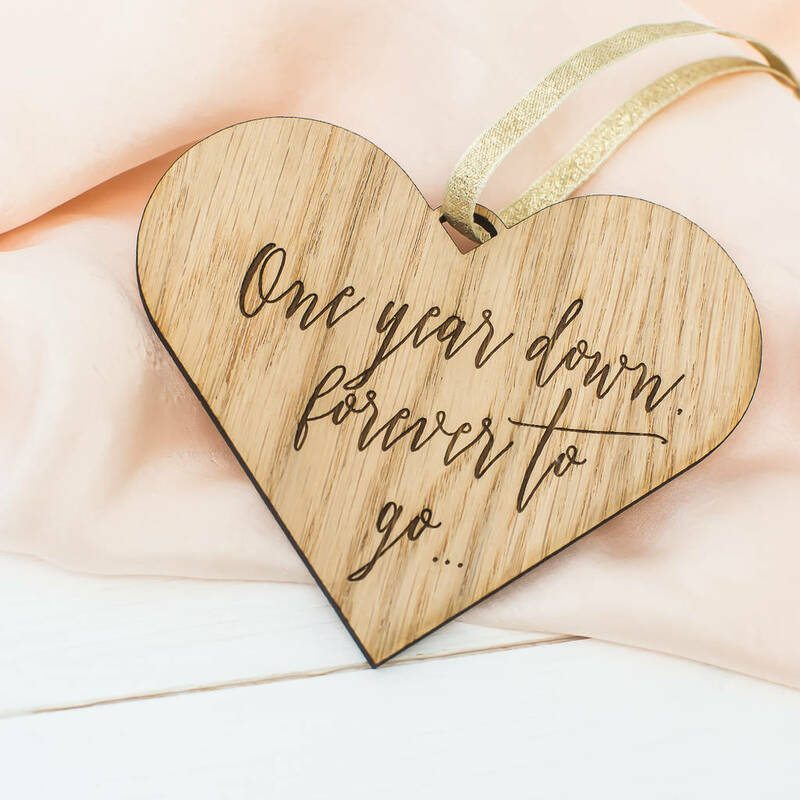 Our gorgeous wooden first anniversary decoration makes the perfect anniversary gift for your loved one. 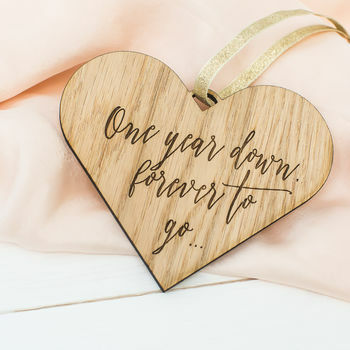 Strung with high quality gold ribbon, this anniversary keepsake features the wording 'one year down, forever to go' and makes the perfect first anniversary gift. The hanging decoration can also be personalised to how ever many years you have been married for, making it perfect for any anniversary, including the fifth anniversary - your wooden anniversary. Also makes the perfect valentines gift for your husband or wife. Engraved in our cheshire studio, this wooden keepsake will last for years to come.